Any eta on NHL confirmation? Feels like its gone a bit quiet and its almost the fall. I'm guessing any issues with the arena have been pretty hashed out given yesterday the Storm confirmed they will play at UW's arena next year and by all accounts the project will be shovel ready after the NBA exhibition game in October. Glasgow Seahawk wrote: Any eta on NHL confirmation? Feels like its gone a bit quiet and its almost the fall. I heard Lieweke interviewed on the radio last week, and he said things are progressing on schedule............which means should be an announcement in the fall I'd imagine after the arena gets final approval and the reno moves forward. The NHL knows arena deals are delicate, so they're not going to jump the gun in case of delays. Waiting for the Mariners to try and muck this up again somehow. On the latest Tuesdays with Tod segment on KJR, Tod pointed to October 2 as the probable date the group would be presenting their case to the NHL BOG. He also indicated that by that date, the agreement with the city would be finalized and the practice facility would be announced. On Wednesday, the Oak View Group (OVG) will unveil new local investors for its proposed National Hockey League team. A scheduled press conference is expected to include lead investor David Bonderman. The announcement comes the same week as city leaders quietly pushed forward key documents in an effort to meet the NHL deadline. Last week, without much fanfare, the city's Department of Construction and Inspections published a more than 1,000-page document which including an intensive analysis of the impacts to the Seattle Center, and proposed changes. The Final EIS, as it is called, is required by law, and can be challenged until September 13, 2018. The next day, the Seattle City Council is scheduled to vote on final transaction documents on the 750,000-square-foot redevelopment. OVG says it will be built with the NHL, NBA, and concerts in mind. Council member Debora Juarez announced Tuesday that the final vote of the full council is now scheduled for Monday, September 24. The timing is important, and not without coordination. The NHL confirmed the Seattle group plans on making its pitch to bring the league to the city the following week, on October 2. That's when the league's Executive Committee, and Board of Governors, are slated to hear the presentation. It's unclear if the league could vote to approve the $650 million expansion franchise bid out of committee on that day, or with a full Board of Governors vote. Seattle Mayor Jenny Durkan is scheduled to make her pitch to the NHL owners personally. Late last week Mayor Durkan's office transmitted the final transaction documents to the Council for approval. OVG and the group led by Bonderman have said they can deliver a new arena and team to Seattle by the fall of 2020, making the window extremely tight. Weird the Ackerley's were part of the plan(backstabbing) that torpedoed the effort to get the NHL here in 1989.
twisted_steel2 wrote: Some Ackerley's... huh. If I remember correctly Barry refused to configure the Coliseum to work for Hockey in the first renovation. Yep, once they killed the NHL expansion, then the nail in the coffin was making sure the building wouldn't be suitable for hockey after the remodel. The Ackerley's back in the day were like super villains you'd see in a movie. You do remember correctly. It pissed me off at the time! News today, until they grant a Team to Seattle no construction to begin, this Council is something else. chris98251 wrote: News today, until they grant a Team to Seattle no construction to begin, this Council is something else. What might be delayed is the arrival of the team. For the NHL’s part, they’re waiting on the Seattle City Council vote later this month, as well as any last minute appeals that could delay the project. This is partially why there have been hints from local officials — as well as NHL commissioner Gary Bettman — that Seattle’s hockey team may not start play until 2021, in which case other events will be scheduled instead of NHL games until the team arrives. Both sides appear to be taking all precautions in the wake of past arena deals that fell through in SoDo, Tukwila, and Bellevue. OVG will make a final presentation to the NHL league owners on October 2, and the NHL is expected to hold an official vote by early December. This makes more sense than posting one little snippet that can be taken out of context. The sooner the city councel approves it, the sooner the NHL can act. More or less. No they want a guarantee a team will be here before they commit to updating the key. They were so fast to denounce the Sodo deal yet are still non commital in the Event Chris Hansen or someone else has a better plan. They are playing both sides and then will take all the credit. So is the final vote for interest before the final vote for environmental re study or for actual construction if there is ever a team that wants to come here so they can vote again to accept the previous vote for acceptance since there will be new council members in place and the Mariners will have had their Stadium renovation initiative voted down. But now they have to have a team committed before they will even move a shovel of dirt, do they vote again if someone brings a team here? It's too bad they couldn't have done this 10 years ago and saved the Sonics. 10 years of the city jerking around and now they are remodeling the same building. Which is what the jerk owners wanted before they moved them. Though I could care less about the NBA anymore. I can't wait for NHL. chris98251 wrote: But now they have to have a team committed before they will even move a shovel of dirt, do they vote again if someone brings a team here? They don't have to have a team committed first, there just had to be a formal agreement with the NHL that WHEN the arena proposal is approved an expansion team will be granted............and that agreement with the NHL has been in place for over a year. Now that the Key renovation has been approved, the ownership group and the NHL will give the official expansion announcement, probably sometime in October. Then why is this part of the statement, acquired means a team and ownership locked in. I'm telling you how both sides got around the semantics of the councils demand for a team first. The NHL demands an arena approval first before agreeing to an expansion team, and the city requires a team first before agreeing to approve the renovation project. What I lined out above is how they got around it, a formal agreement in place so that both sides are happy..........and that's what happened. Because you're missing the part of the agreement that says the SCC can waive that requirement if they wish to do so. Most everyone is under the impression that a recommendation from the committee on October 2nd could be enough to grant that waiver, as the BOG has never before ignored a recommendation from the committee. One can hope I guess, but I have no faith in the Council, I hope your all right. Remember elections are coming again. chris98251 wrote: One can hope I guess, but I have no faith in the Council, I hope your all right. Remember elections are coming again. The SCC has done absolutely nothing to deserve faith. However it doesn't take faith to realize that a 100% privately funded plan that uses the city owned Key is the dream scenario for them. They would be downright irresponsible not to push this through, regardless of their moronic views on sports. The only faith you need with the SCC is to know that they're corrupt politicians who were never going to approve anything until they found a sucker to renovate Key Arena so they didn't have to pay for it.................and they found their sucker in the Oak View Group. So don't worry Chris, not even they can screw this up. They found a developer who's going to spend over 700 million of it's own money to renovate a building that the city was losing money on, AND they can all do what they did Monday, take full credit to help all their re-election campaigns. So much this. Great post! All signs point to Seattle getting a team. Beyond the $650 million expansion fee, a team would give the NHL a presence in the U.S. Pacific Northwest with a natural geographic rival for the Vancouver Canucks and balance the Eastern and Western conferences at 16 teams each. Leiweke, who along with brother Tim is spearheading the effort, was careful to say the group is not assuming a team is a done deal. The presentation was the latest and most important sell job, and now the league must make the next move. I know everyone said this was a formality, but we all know when it comes to the political landscape of Seattle, there's no such thing. Basically a done deal. The only thing that really remains to be seen is if the council will waive the clause and allow construction to start before the team is officially announced in December. BINGO! It’s a great day for us future Seattle NHL hockey fans. I cannot wait for the first puck to drop. Last edited by Sports Hernia on Tue Oct 02, 2018 10:38 pm, edited 1 time in total. KK84 wrote: Basically a done deal. The only thing that really remains to be seen is if the council will waive the clause and allow construction to start before the team is officially announced in December. Let’s hope they pull their heads out. Might be the difference in the first season being in 2020 or 2021. Very exciting news! Hope it’s 2020. Any early ideas or rumors on the team name? West TX Hawk wrote: Very exciting news! Hope it’s 2020. Any early ideas or rumors on the team name? That or The Seattle Gridlock. Seattle Sockeye won an informal Seattle Times poll over Seattle Totems. I just can't get on board with that name. I really hope they have someone in the leadership group that hates it as much as me. The sockeye name has better logo possibilities. The Totems while a better name has more of a bland logo. Whatever the name I’m sure I’ll get used to it. The Mariners is kind of a lame name but every one got used to it. Last edited by Sports Hernia on Sat Oct 20, 2018 9:04 am, edited 1 time in total. If it has to be a fish, doesn't Steelhead sound better? That would be my vote over Sockeye. I like the alliteration, and the pun. I absolutely love Seattle Sockeye. Seriously, that octopus isn't very intimidating. You act like there's an obvious difference. There isn't. Also, how is a kracken even vaguely tied to Seattle's culture? At least sockeye salmon have a geographical tie to the PNW. 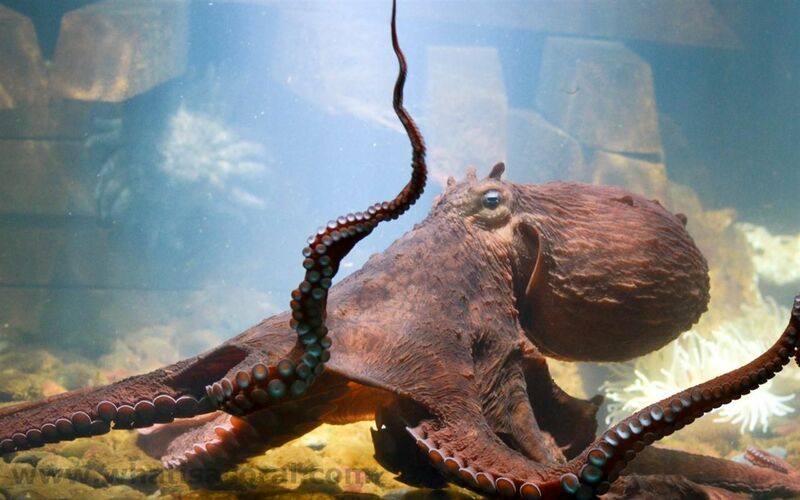 According to the WSDOT Narrows Bridge Weird Facts web page, one of the world's largest octopus species makes its home in Puget Sound - the Giant Pacific Octopus, which can weigh over 600 pounds. Local legend will tell you that the largest Pacific Octopus in the world lives under the Narrows Bridge.